My mom has something that is very nice. She refuses to send it to Kevin and I. Little does she know that if she sent it to us she would profit from it more than she ever has before. I'm currently getting into picture taking and Kevin is pretty good. 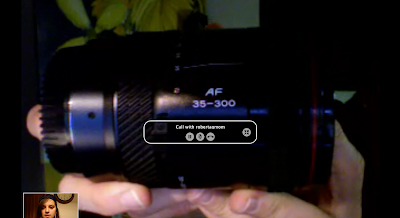 My mom hasn't used this lens in a long time, but she says she is going to start up again. Mom, if one month goes by and you haven't used this yet, you will send it to us in Montana and never EVER regret it!